The classical elements that conditioned scientific thought in 1749 remain a useful metaphor today to describe the industrial development of the province of Nova Scotia. Air drove windmills and would lift the Silver Dart. Fire allowed foundries and sugar refineries to be operated. Water supported fishing and shipping, and could power grist mills, as well. Earth allowed for the development of farming, and an array of mining operations. 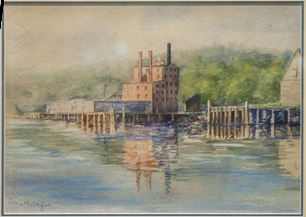 This exhibition brings attention to the extent and range of industrial activity in the province in by-gone years, and juxtaposes works by 18th and 19th century artists with works by contemporary and folk artists. The exhibition also explores some lesser known aspects of that activity – from labels for the forty lobster canneries that operated in the province by 1873, to Mi’kmaq harvesting birch and ash to carve hockey sticks, to the longest building in the province at the Dartmouth Ropeworks. 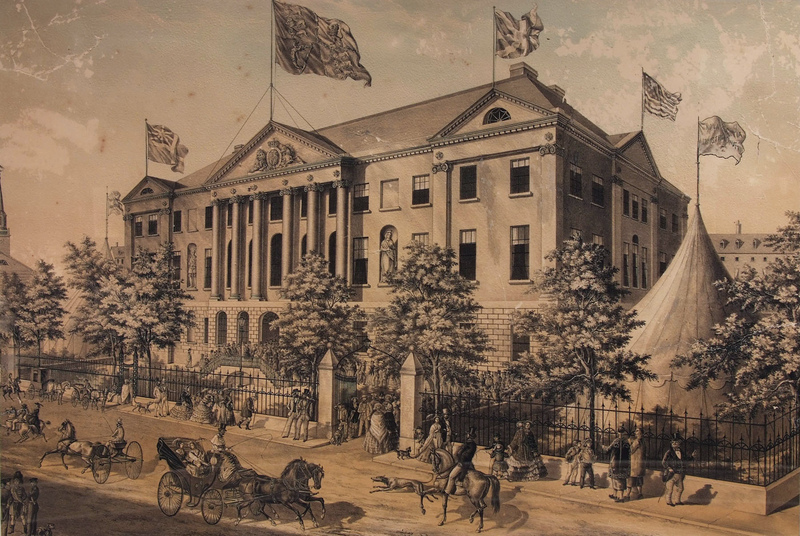 In 1854, Nova Scotia had celebrated a century of industrial development with an exhibition held at Province House. 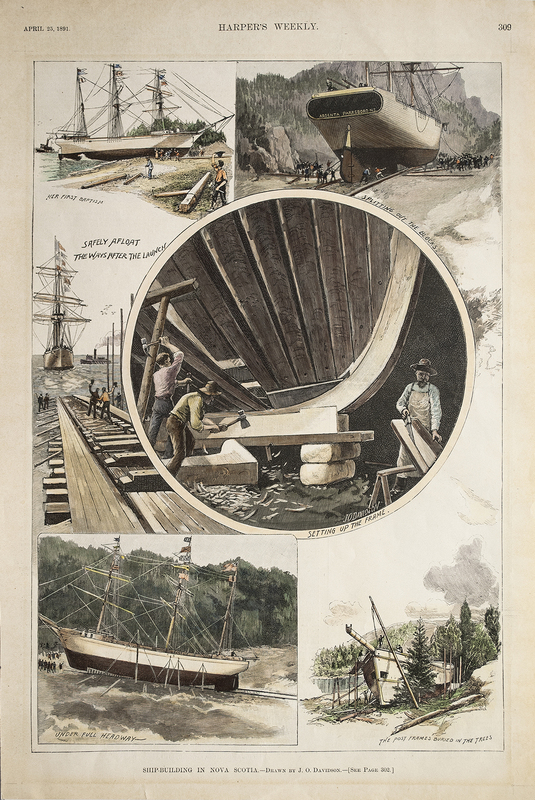 Robert Wilkie’s large lithograph, which commemorated the Industrial Exhibition that year, is the centrepiece for a small installation in the alcove of this exhibition that celebrates the 200th anniversary of the opening of Province House in 1819, with prints from its succeeding century. To enhance your experience, a visit to Province House is recommended. Province house is located in close proximity to the Art Gallery of Nova Scotia, making it easy for you to experience both the Industrial Elements exhibition and the Nova Scotia Legislature. Plan your visit today.